Now that the weather is warming up again, I’ve been doing a bit more wavering about what to wear before I head out for a run. You want to be able to enjoy the workout and focus on other things besides you being the wrong temperature! There’s nothing like having to wear a pullover tied around your waist for 3/4 of your run! The alternative isn’t fun either where your hands are numb because you don’t have enough layers on. 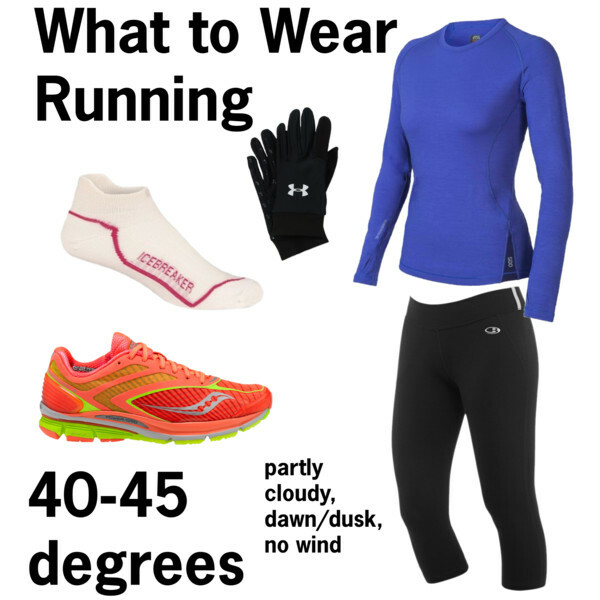 The other options I really like are having a pair of old running gloves that I will bring if I think I’ll be cold, even with short sleeves. Sometimes by the first mile, I’m warm enough to take them off, but they are small enough to tuck into my running belt (and old enough for me to toss them if I really get annoyed carrying them). Here’s to happy running like Goldilocks! Not too hot, hot too cold, but just right!